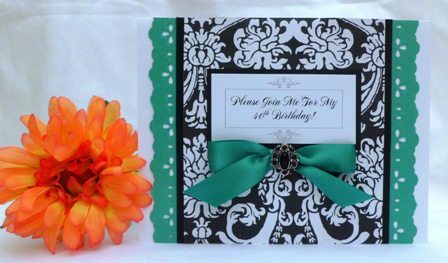 A black and white print is my go-to pattern paper when making birthday invitations for a female because is looks feminine. It also can be coordinated with most solid colors. 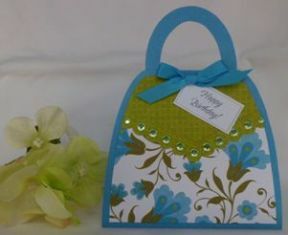 For this handmade card making project, I chose teal as the solid color. 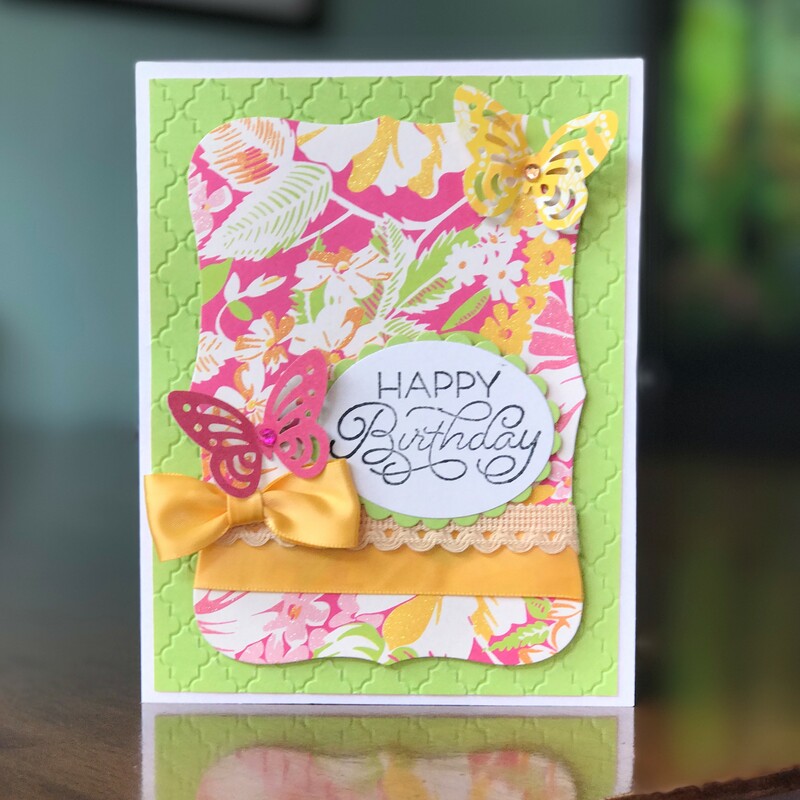 Since border punches are quite popular when making cards, I decided to use a border punch with an eyelet feel for my birthday invitation. Again, the eyelet makes it look more feminine. The punch also gives an embossed look which gives the teal paper more dimension. Since it is an invitation, I wanted to make a simple design for my birthday invitation template. This invitation idea doesn't necessarily have to be for a 40th birthday. Switch out the years on the sentiment from 40 to 50 and you've got a quick idea for other milestone birthdays. If you have a fun and cool accent you'd like to use for your 40th birthday party invitations, use it to inspire you. For my handmade card ideas, I love using beads and ribbon as embellishments. Use the colors on your embellishment, sticker or jewel. I had a pack of beads that I wanted to use for my cards. The bead has a black jewel in the middle and smaller black jewels that surrounded the larger jewel. 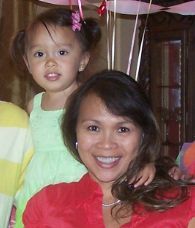 Personalized birthday invitations can be created using your computer. Create the sentiment and then print the sentiment out from your printer at home. You can add a name, date or special saying. 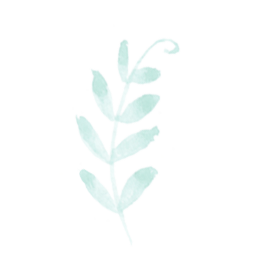 Instead of using bright colors, I chose a muted green. Again, I used a pre cut and scored blank card. 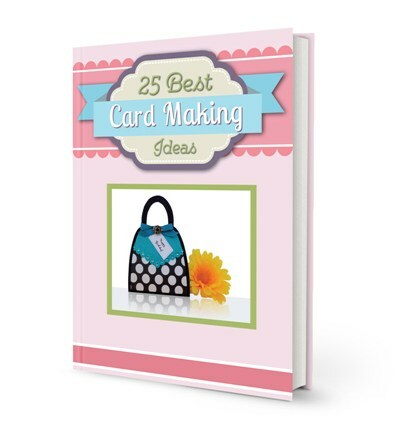 The card pack included envelopes so that will save you money from having to buy envelopes. 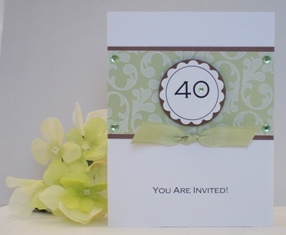 The accent color I used on this 40th birthday invitation is brown and I used a couple of craft punches. I used a large circle punch on brown paper and then I typed the number 40 and then punched it out using a scallop circle punch. You can stamp "You're Invited" along the bottom of the invitation or use scratch off letters. I used my computer and printed it out on white paper which I later adhered to a blank white card. 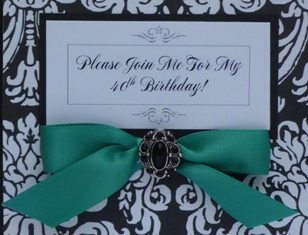 I accented the invitation with ribbon and adhesive gems which I placed on the four corners of the green paper and then placed one small gem inside the "0". 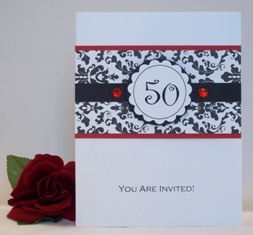 This invite is for a 50th birthday invitation but you can make it for a 40th as well. Just switch out the number 50 with a 40. It's really simple to make if you have a circle and scallop circle punch. Don't be afraid to make birthday invitations. Remember to try to keep them simple so that it is not time consuming.